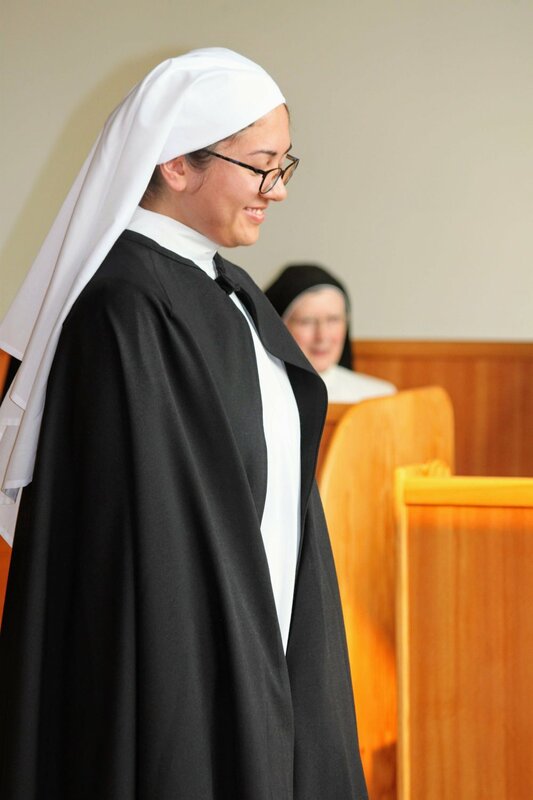 Our patronal feast of Our Lady Queen of Peace was doubly blessed this year as our two postulants received the habit of the Order of Preachers and became Sr. Marie Étienne of the Most Holy Name of Jesus and Sr. Diana Marie of the Divine Mercy. Postulancy, which comes from the Latin postulare (to ask), lasts a year in our monastery. 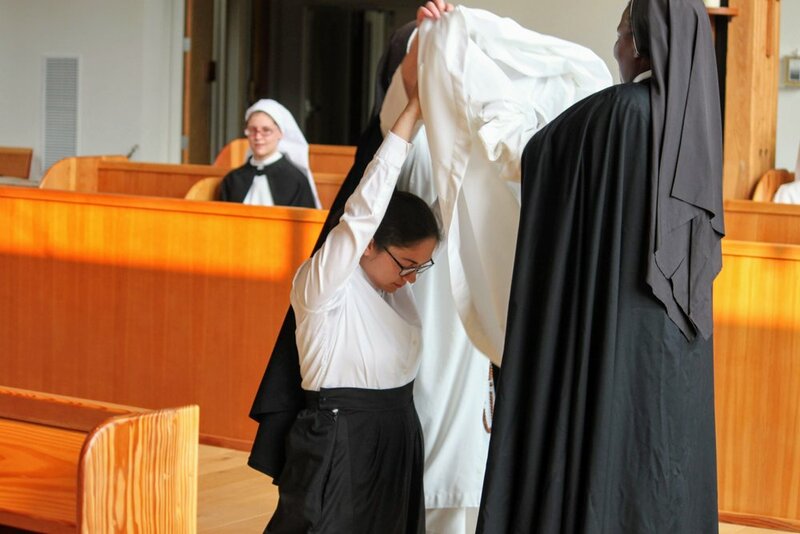 During this time, a young woman makes a trial of our Dominican monastic life. 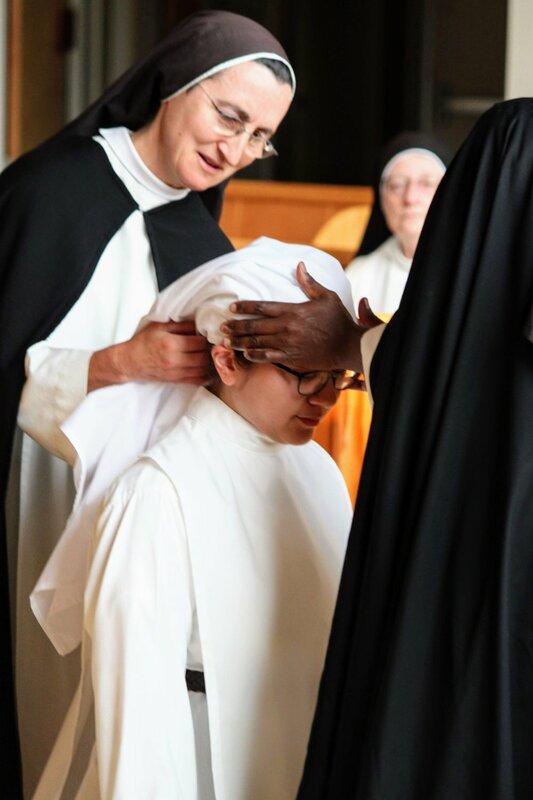 If she and the community discern that God may be calling her here, she asks to be received more fully into the community as a novice. The vestition ceremony itself also begins with a question. "What do you seek?" the prioress asks. "God's Mercy and yours," the candidate (or candidates!) responds. 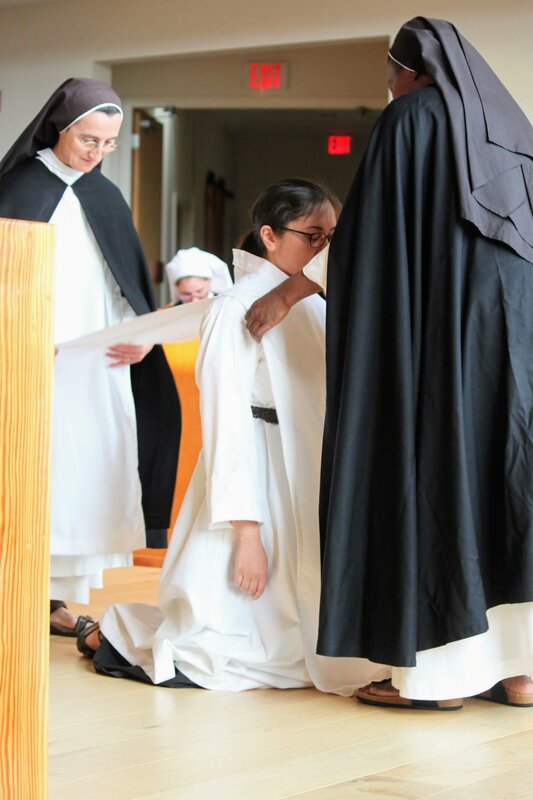 After a short Scripture reading, and talk by the prioress, each sister is clothed in the holy habit of St. Dominic. 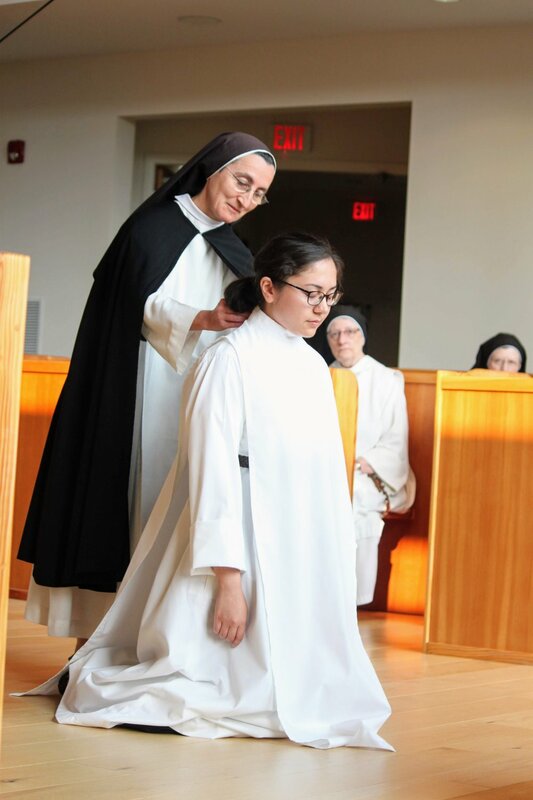 As an important symbol of the givenness of a vocation, the new novice doesn't clothe herself in the habit, but entrusts herself entirely to the novice mistress and prioress as they literally dress her in the habit and scapular, tie a belt around her waist, attach the rosary and crucifix, and place the white novice veil on her head. Finally, at the end of each clothing comes the moment all the sisters have been waiting for—the revealing of each new sister's religious name, which had been kept a secret from the community until then (which doesn't stop the community from trying to guess!). Finally, each new novice gives the sign of peace to the community and their families while the rest of the sisters sing the Magnificat. 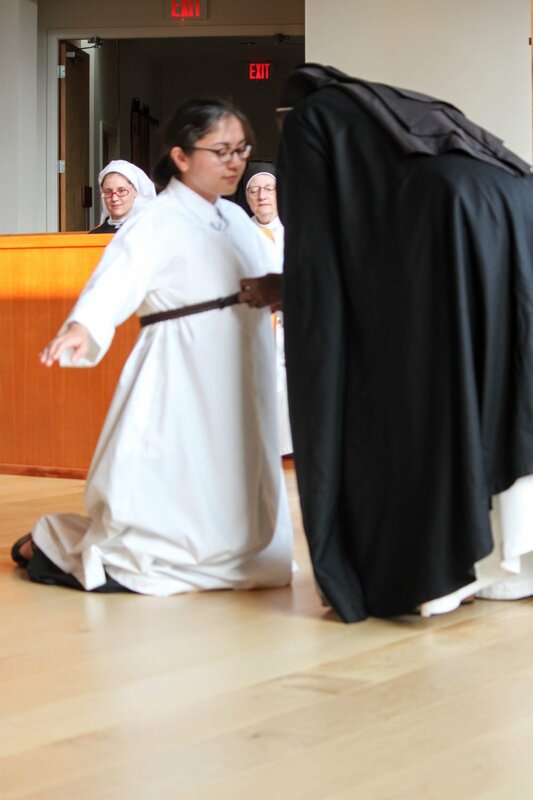 We thank God for the gift of each of these sisters' lives and vocations. Please pray for their perseverance and joy in the Lord as they begin their novitiate!